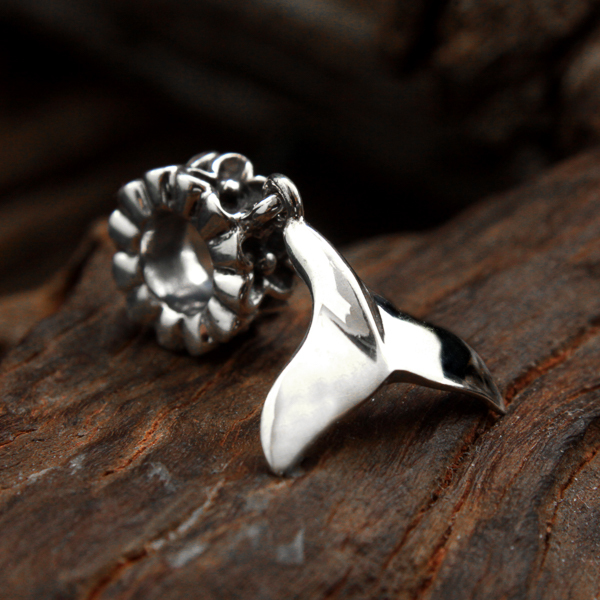 This humpback whale tail charm gently dangles from a circular bead of flowers, which represents the many humpback whales still taken by whaling around the world. Bead can be added to any beaded charm bracelet (including Pandora) or worn as a pendant on a necklace. Available in sterling silver or 9 carat yellow gold (white gold and other metals available on request). Signature World Treasure gift pouch included. Free shipping worldwide on all orders.